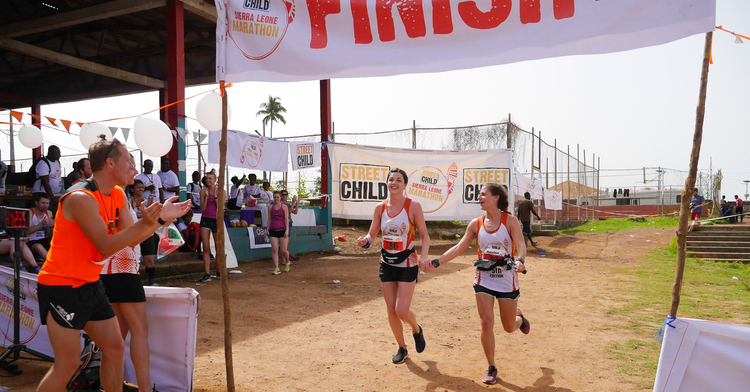 Last month I was contacted by Street Child to see if I would be interested in running the Sierra Leone Marathon to help raise money for this wonderful charity and raise awareness about this incredible African adventure that is much more than a 26.2-mile race. 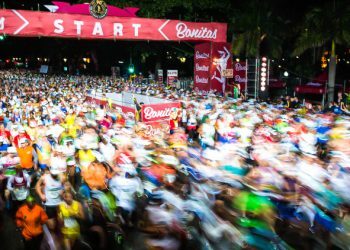 Voted ‘Best International Event’ at the 2017 Running awards, the course takes participants through beautiful tropical forest and local villages and has been described as a life-changing challenge. The email, while a complete surprise, was like a sign from the Universe. It landed in my inbox after a day spent feeling down and pondering over which marathon to sign up to next. Reading each line, I could feel my heart begin to race and my legs begin to twitch (a symptom of both my excitement and my anxiety). 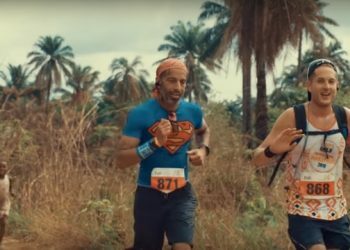 This was an opportunity combining the two things I adore – travelling and running – and all for an amazing cause. It was a no brainier. Sign me up! I thought. 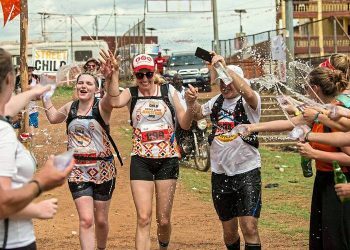 I quickly hopped onto www.sierraleonemarathon.com where I looked over this year's itinerary, read about last year’s adventures and scrolled through the beautiful pictures from previous events. The next few days were a bit of a blur. Managers were called, holiday was booked off, a “calm down it will be fine” phone call was put in with my mother, old vaccine documents were cursed for not being in the drawer they belonged in, and some pretty complicated insurance policies were looked at, but eventually, everything was all signed off. It was official. It was happening. It wasn’t until I had my first meet-up with the charity and met with my mentor (everyone who is taking part is put in touch with someone from the charity to help guide you through this) that I really began to understand exactly what I had signed up for. We were given warnings about our health, our belongings, our money. We were instructed not to go anywhere alone, informed that we MUST get medivac in our insurance, and we were advised (very very strongly advised) to pack as much Imodium as we possibly could into our bags. 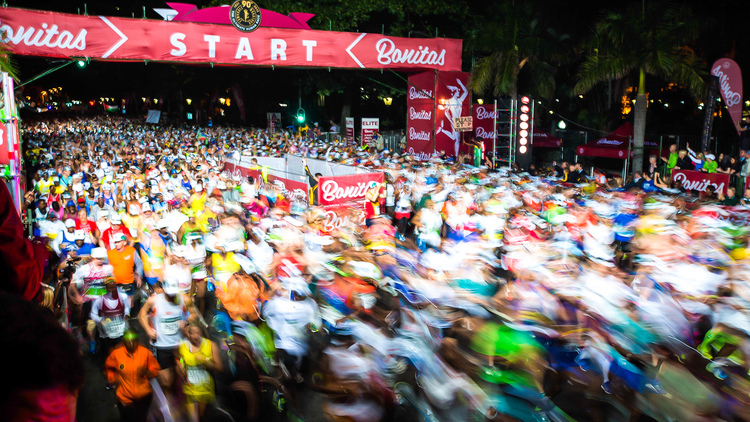 We were warned about the extreme 30-degree heat we would be running in, told the marathon has to start at 6am in the dark to avoid heat-related casualties and were given the bad news that there are no (ahem, official) toilets on this course. When someone asked if there was an app for the race or a way our times would be recorded, our two reps erupted into laughter, but then followed it up with a very stern and serious “it’s not that kind of race”. It was then I understood why Runners World described this as the “craziest marathon”. I would be facing extreme heat, I was being warned about serious dehydration, sun-stroke, and apparently, I’d have to poop in the bushes. All of this information should have put me off. I should have been running the other way, not preparing myself to actually run in these conditions, extreme conditions I have honestly never experienced before. Yes, I’ve backpacked before, but this is completely different. This West African country was in a war not too long ago. It’s had to deal with so much conflict, so much disease, and to top it all off it’s tropical climate can’t make it an easy place to live. But that is exactly why I need to go. That is exactly why Street Child exists, to help those who are living there. All those things I just listed, that's everyday life for someone in Sierra Leone. How could I ever call myself a traveller if I’m not willing to explore the places that are less explored? Or meet the people that live in a different world to me? When my boss asked me what I wanted to gain from this trip, I told him very honestly “I want reality to give me a big hard slap in the face.” And I do! I recently turned 32 and had a meltdown. An actual meltdown. I sulked and felt sorry for myself for days about not having all the things I thought a 32-year-old woman should have. It was amidst my childish sulk that I got the email from Street Child. I read about the projects that Street Child runs and the people they help, children who had never had an education, who had been forced to sleep on the streets due to conflict, crisis and poverty. I suddenly realised how disgusting I had been, constantly thinking ‘FML’ to myself and sulking because I can’t get a puppy or because my phone takes ages to load and I can’t afford a new one. I mean, seriously??? How pathetic. Don’t get me wrong, this whole thing terrifies me. But it truly excites me at the same time. 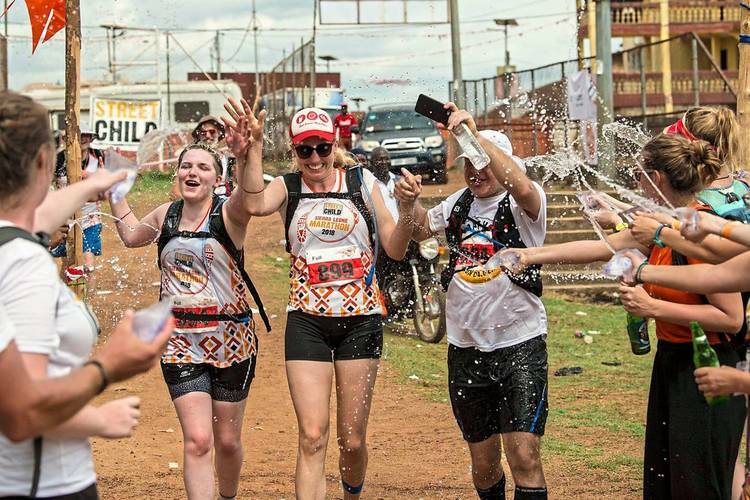 Not only can I not wait to experience the marathon itself, but I can’t wait to see these projects and to get involved in them and to meet these incredible children, who I’ve been told just love to high five you all along the route! I may be doing my bit to raise money and hopefully impact their lives, but I have a feeling they will have a huge impact on my life too. What could your money contribute to? Click here to donate to this amazing cause and sponsor Hannah Banana on her craziest run to date!